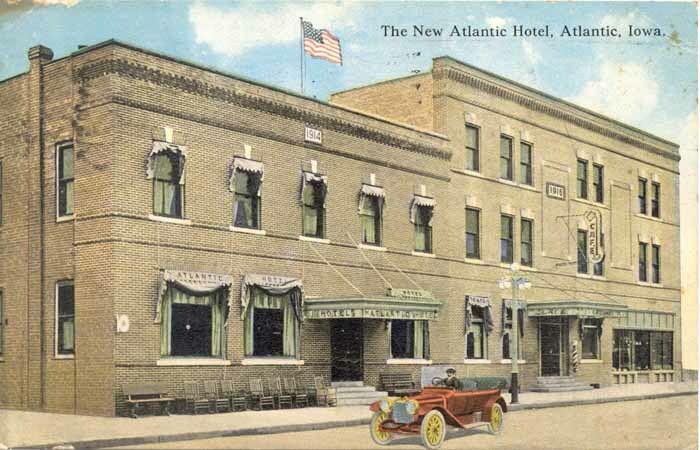 The New Atlantic Hotel, Atlantic, Iowa. 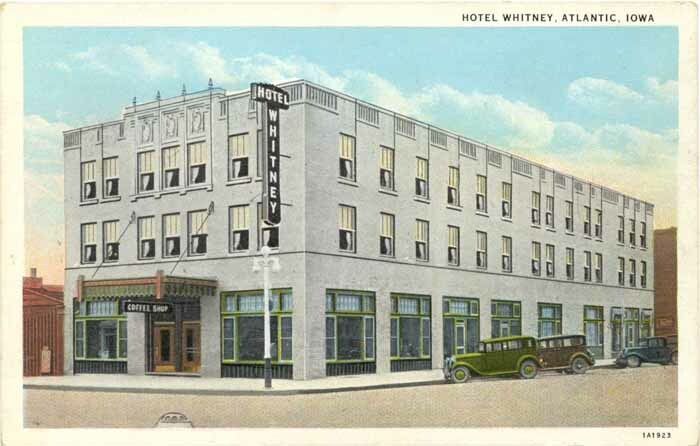 Divided back octochrome post card, circa 1907-1915. Postmarked, but year not legible. Divided back postcard, postally unused. "From Mrs. Ralph Baird" handwritten on the back. Photo postcards contributed by Cheryl Siebrass, May 2009 and October 2010.